Liz's Paper Loft: MCT March Release Sneak Peek Day 1 ~ happy birthday! MCT March Release Sneak Peek Day 1 ~ happy birthday! 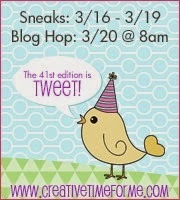 today is My Creative Time March Release! Can you believe it's that time again? Today we are featuring the Circle Stitch Pattern Die! Let the creative come out and play with this new die! The first thing I did was to use the die on watercolor paper. Then I had some fun with distress inks, shine spray, and white chalk ink. For the vellum "celebrate" I cut two and layered them. It still has the softness of vellum, yet it can be read over the colorful background. Have fun stalking my design team sisters! Fabulous card! The layers, patterns, and colors are awesome! Love this die! OMG Miss Liz Your card is gorgeous!! You so rocked today's Sneak Peek love your watercoloring definitely a beautiful work of art. Your vellum idea gives such a beautiful look your total card is definitely filled with super clever and creative ideas. YOU so ROCK! Love how you created this background and the double layer of vellum. Love the vellum over the water color. GORGEOUS!!!! LOVE the background you created!! Very creative! Must have those circles! Awesome colors. Looks so festive for a birthday. Such a beautiful card Liz! LOVE the gorgeous colors!!!! Absolutely beautiful. I love these colors and this watercoloring is awesome. Love your card with the watercoloring. Good Job! Gorgeous watercoloring Liz! LOVE how you cut the word out of vellum. WOW,Liz...your background looks amazing!! I just love what you did here and the fabulous colors!!! Very colorful! I love it! Beautiful card! Love the bright and fun colors! Love the circles and the hint of colored, striped paper in the back. Beautiful watercoloring. I love the bright colors against the yellow background and the way you stamped the sentiment. Great card! 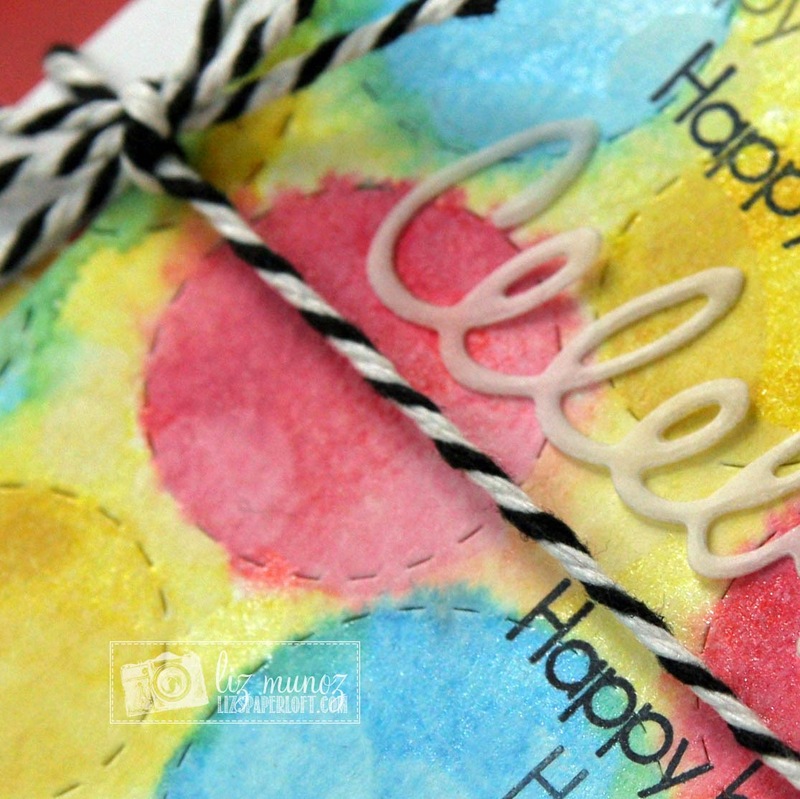 Love the vellum celebrate idea! Love the watercoloring on your card! And what a great idea to cut the sentiment out of vellum to keep the soft effect! Will definitely be trying that! Thanks for sharing! Love this card! Great coloring technique too! Wonderful rainbow of colors, super cute and fun! Stunning card!!! I love the water coloring! I think the year is flying by too! I love the water color and Bokeh on your card. 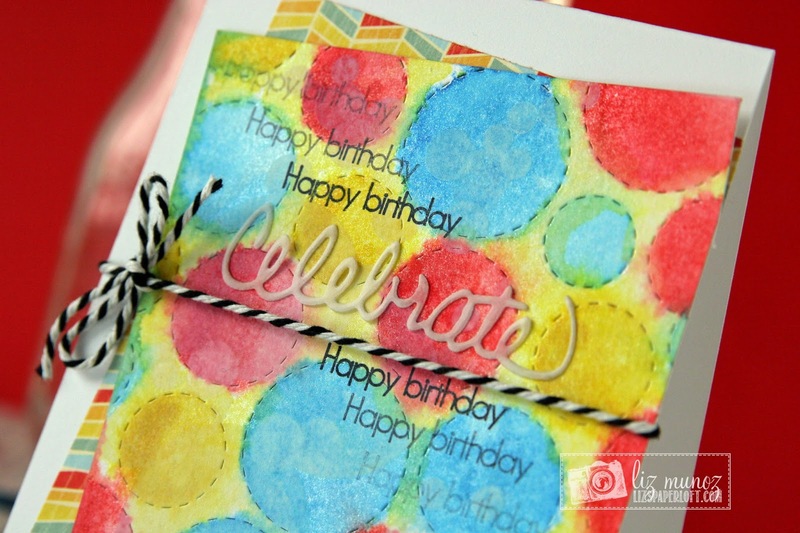 The Happy birthday stamping is fun with the vellum celebrate! Great way to use the new dies. Love the bright colors! Super fun and Cute! Liz ~ how FUN and creative is your card ~ VERY! 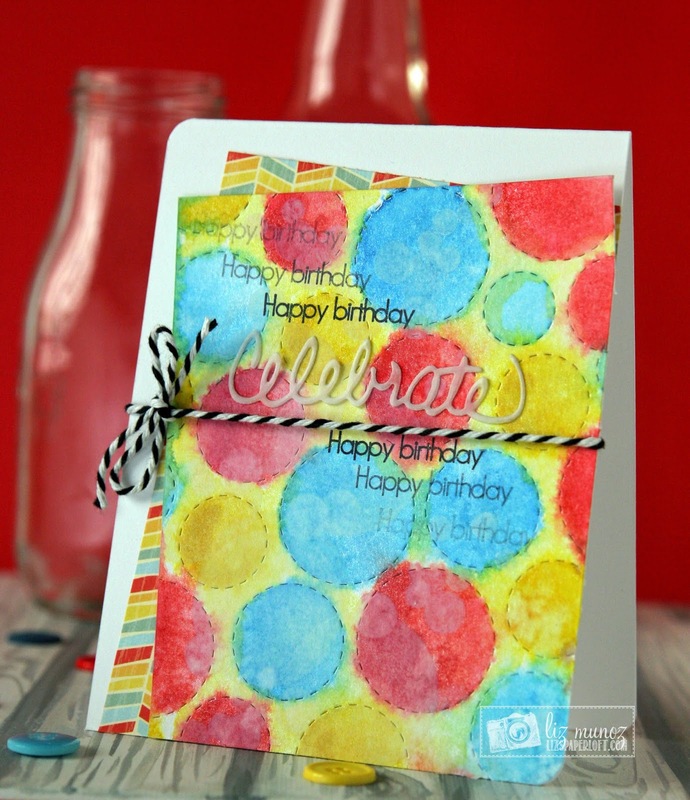 LOVE the water-coloring you did on the circles and around ~ Oh my I need to try this for sure! BEAUTIFULLY done! Great colors. The word "celebrate" looks like the icing on a cake. It's all so pretty. Amazing card!! Loving the watercoloring!! Fabulous colors and fun design Liz! I loVe your wonderful card. Love your background. Thanks for sharing. What a nice colorful card !! It's a great idea to make the word with velum. Another great card!! Love the colors used and the vellum Celebrate shows up really well! The background that you create is amazing and so beautiful!!!! a whole bunch of balloons! What a vibrant celebration card. I am totally loving how this came out, perfect way to showcase that die!! MCT Tag It Tuesday ~ happy bird-day! MCT Inspire Me Wednesday ~ think of you! MCT March Release Blog Hop ~ love you bunches! MCT March Release Sneak Peek Day 4 ~ merry! MCT March Release Sneak Peek Day 3 ~ wishing you! MCT Trending Now "Color Pop" ~ happy birthday! MCT Tag It Tuesday ~ hello! MCT Designer Challenge ~ hello! MCT My Favorite Stamp/Die of the Month ~ bunco!